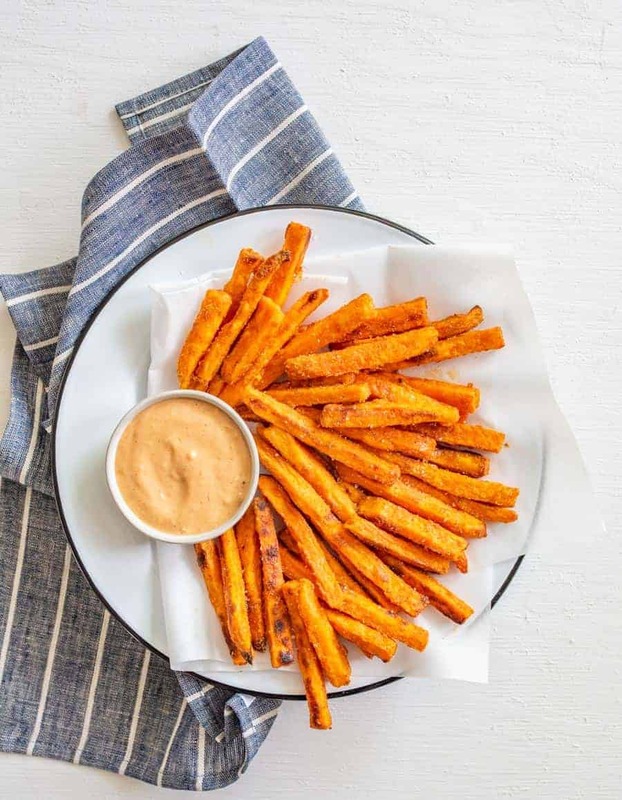 The BEST crispy homemade Sweet Potato Fries are made with a secret ingredient and a perfect spice blend, then baked to crisp perfection. I love sweet potatoes and I love fries. So why not mix the two? 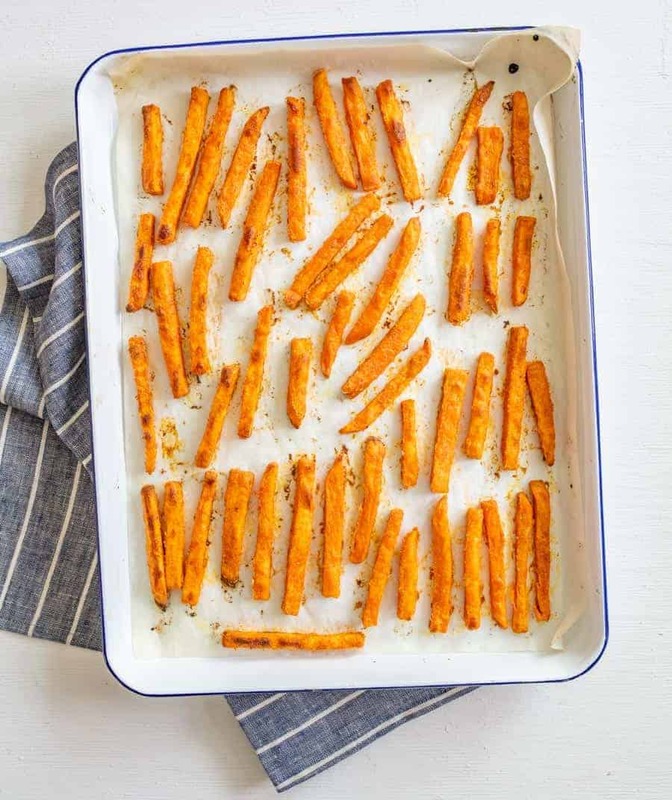 Sweet potato fries are one of my all-time favorite side dishes and I’ve spent a lot of years researching and figuring out how to make them crispy and perfect. I have made and eaten far too many sweet potato fries that were burnt on one end and soggy in the middle so I took it upon myself to figure out the tips and tricks to make the best sweet potato fries on the block. There’s a lot that goes into making a great sweet potato fry, but I’m here to tell you that going through the steps is worth the effort because you end up with perfectly seasoned, perfectly cooked, deliciously crispy sweet potatoes that are better than any you’ve had (even at a restaurant – you don’t find a better fry than these!). 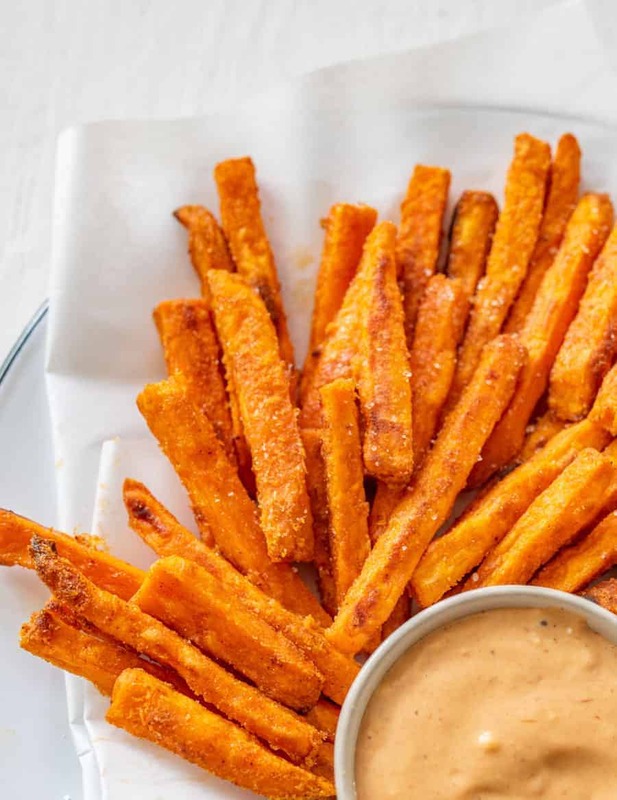 How do you make sweet potato fries crispy? 6. Let the fries cool for just 5 minutes before eating. I know that it looks like a long list, but it’s worth it to get the perfect sweet potato fry! Don’t skip any of the steps. You’ll want evenly cut taters to soak, coat, flip, and rest before eating if you want perfect sweet potato fries. Feel free to change up the seasonings to meet your liking! There are so many great options that you can add. Want a little heat? Try adding some chipotle chili powder to your seasoning and cornstarch mix. These are perfect with some dipping sauce! 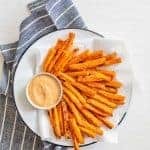 I love to use equal parts ketchup, mayo, BBQ, hot sauce, and mustard for a great sweet potato fry dipping sauce. 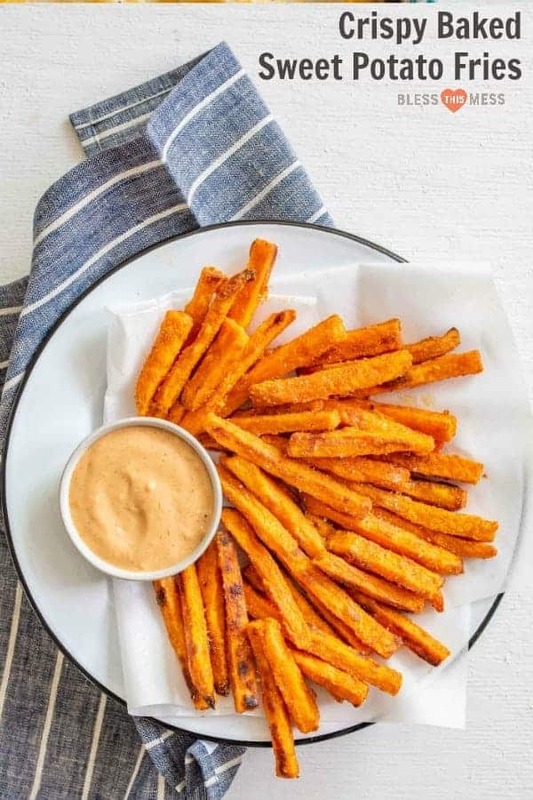 You can add the sweet potato fries to a big zipper-topped bag and use the bag to toss the fries in the oil and cornstarch mix easier (do the oil first and then add the dry mix). Can you freeze sweet potato fries? I have not had great luck with freezing this recipe. They sure don’t freeze before baking and they only froze ok after baking but I couldn’t get them to crisp back up when it came time to reheat and serve them. I would not freeze this recipe. These sweet potato fries actually don’t store well at all. I’d suggest making as many as you are going to eat and not more so that you don’t have leftovers. They just aren’t very good reheated. What do you serve sweet potato fries with? Cut your sweet potatoes into 1/4 inch square fry-shaped pieces. Consistency in the thickness of the potato is key for evenly and properly cooked potatoes. Place the cut sweet potatoes in a bowl and cover with cold water. 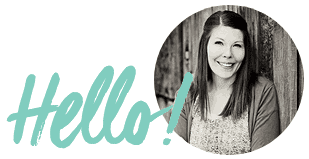 Let soak for at least 30 minutes or up to 12 hours (they can soak overnight without issue). After the sweet potatoes soak, remove from the water and pat dry with a clean dish towel or paper towels. Add the dry sweet potatoes to a large bowl or zipper-top bag and drizzle with the oil. Toss well to coat evenly. In a small bowl, combine the cornstarch, garlic powder, and smoked paprika. Sprinkle over the oiled sweet potatoes and toss again to evenly coat. Spread the sweet potatoes in an even layer on a parchment-lined baking sheet. Bake in the preheated oven for 15 minutes. Remove from the oven and use a spatula to flip every fry over, one by one. Return the oven and bake for an additional 10 to 15 minutes. Remove from the oven and sprinkle with salt. Let the fries rest for 5 minutes before serving warm. Don’t skip any of the steps. You’ll want evenly cut taters, to soak, coat, flip, and rest before eating if you want perfect sweet potato fries. Feel free to change up the seasonings to meet your liking! There are so many great options that you can add. Want a little heat? Try adding some chipotle chili powder to your seasoning and corn starch mix. I’m 90% sure that arrow root powder would work in place of the cornstarch just FYI. This sweet potato fry recipe is inspired and heavily influenced by America’s Test Kitchen and Gimme Some Oven. I can’t wait for you to make these a regular part of your meals because they are so very good. Don’t forget that dipping sauce – it’s a game changer. 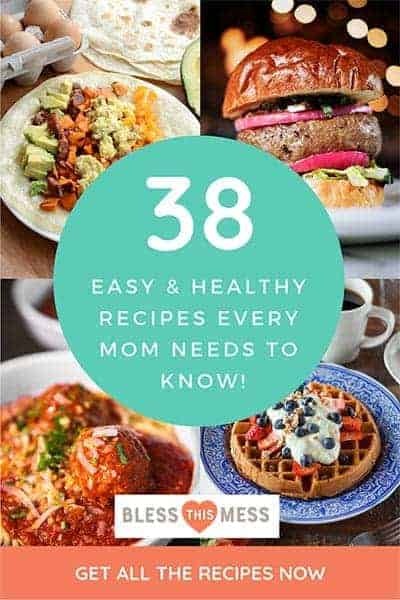 This recipes is one of my favorites and was originally published in February 2010 and has been updated, rephotographed, and republished in January 2019.